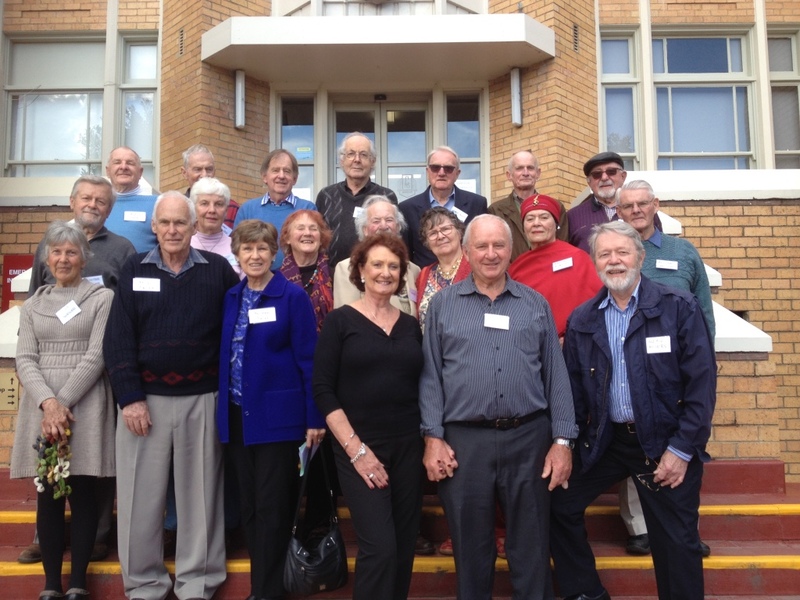 In September, as part of their 60th anniversary, the first Matriculation class (the class of ’56) took “a walk down memory lane”. Lunch in Maling Road was followed by a walk to the school for photos reminiscent of the photo they took 10 years previously. Refreshments were served outside the Enterprise Centre and after toasts, speeches and awards they said their farewells. Attendees included former staff member Geoff Adams, the CHESS President Yvonne Giltinan, ex-students John Brown, Keith Walker, Allan Carter, Geoff Sprout, Norma Head, Bob Kaegi, Neil Twitt, Ray Yates, Hannah (Korman) Mrocki, Tricia (Ashley) Phillips, Robin (Curry) Brougham, Bryan Blythe, Peter Friend, Clive Beed, David Wilson and the organising group Allan Meiers, Nicola (Donkin) Williams, and Gerald Robinson. CHESS gratefully acknowledges the donation of $250 that will be used for the 75th Gala Dinner.